Due to popular demand, I decided a little while ago to start-up my very own guitar making school, right in the heart of greater London. And after recently leaving South Thames College as a guitar-making lecturer, I have now freed-up some more time to concentrate on my own teaching. I was never happy with the way things were run at the college, so after two years of lecturing there, I decided it was best for me to move on and go-it-alone. 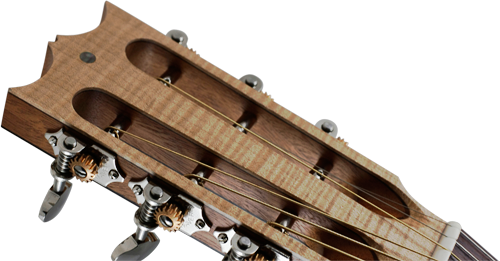 Come and learn how to make guitars at the highest level, from a proper, top, professional luthier. Join like-minded people, experience small class numbers for fantastic time-management, enjoy practical and theory lectures, one person to a bench, no pointless paperwork to be done, humidity-controlled environment for guitars and timber, have a break whenever you like and be treated like a responsible adult. Days are flexible, but my current students are all attending every Friday, so I only have one position left available on Fridays. I am also currently offering master classes at �30.00 an hour, and running internships for talented, experienced, young luthiers. I currently have two full time interns, and am now interviewing for a third. All applicants need to sit a strict practical test, and have previous experience. The successful candidate shall be welcome to five days a week in the workshop, learning how all aspects of a real, professional luthier shop operates. For more information drop me a line through my contact form. For paying candidates, the annual rate is �1500.00 per year, consisting of eight hours a day, for forty-six days of the year. That's just �32.61 a day! All students must provide their own hand tools, and materials. Payment terms are also available. Not bad considering that if you attend regularly, work hard and learn well, you will end up with a guitar worth at least �1500-�2000.00, and leave with a wealth of guitar making knowledge. It’s a fantastic thing to do, and all of my current students absolutely love it! For testimonials please contact me and I’ll happily put you in touch with some of them.